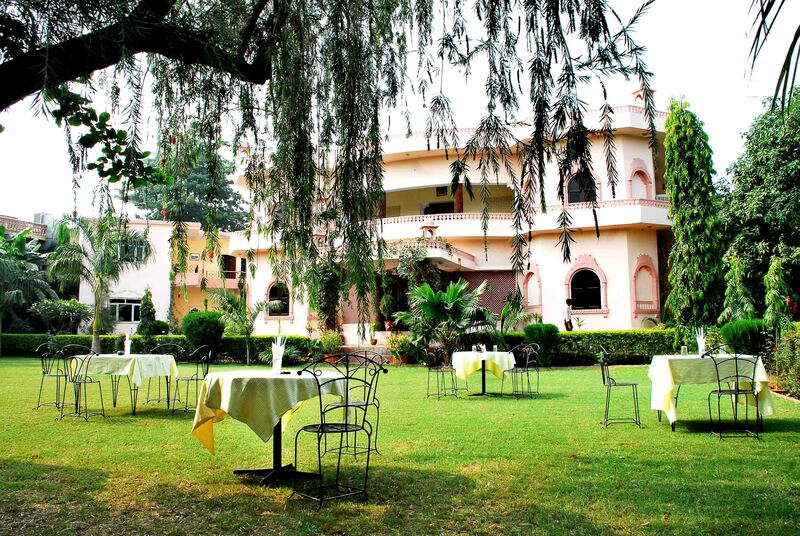 Tiger Den Resort is the best option among all the resorts in Ranthambhore. This resort is very close to the famous Ranthambhore National park (Sawai Madhopur) and all the important destinations in Ranthambhore. Tiger Den lies in the lap of the Aravalli Range. This resort is developed on 5 acres of property and this increases its natural beauty. The tiger den Resort is an attractive resort, nicely designed away from the city in a very peaceful place. This resort is in the midst of Nature. In this resort you will get a home like feeling. This is a well-planned resort with an amazing ambience. This is a perfect place to live your dreams, distress yourself away from home. Tiger Den Resort has 50 rooms. In which 38 are air conditioned cottages/duplex rooms and 12 superior rooms. All the rooms are beautifully designed and have modern amenities to fulfill your needs. All the cottages of this resort area around lawn and the rooms are around the pool. All the rooms are large, spacious and with sitting area. The rooms are fully air conditioned, with attached toilets and 24 hours running hot and cold water. You can have an amazing view from the balcony of the rooms. All the rooms are clean and tidy. All the cottages are located in a huge area and fenced by flora and fauna. The dining area of Tiger den Resort is very spacious and centrally air-conditioned. It has a capacity of approximately 100 people. The chefs are well trained and serve around the clock. The multi cuisine restaurant serves Indian, Western and Chinese cuisines. The staffs are very friendly, cooperative, always smiling and coming forward to help you. It is a perfect place to enjoy your evening.